The wait for Final Fantasy XV will soon be over—that is, if you don’t consider six months a long time to wait for the release of a game that was first announced 10 years ago. But at a huge promotional event last night, Square Enix announced a September 30 release date for the game, as well as a feature-length CGI film starring Aaron Paul, Lena Headey, and Sean Bean. The film, Kingsglaive: Final Fantasy XV, already has a teaser trailer (but it’s currently bereft of any of the voice talent). Kingsglaive stars Bean as King Regis of Lucis, a magical kingdom that’s been locked in a long-standing war with the Niflheim empire over the Hallowed Crystal. 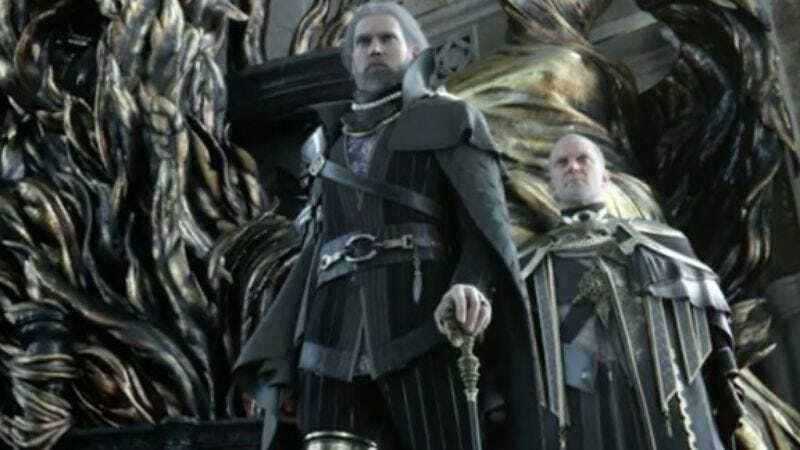 King Regis commands the Kingsglaive, an elite force of soldiers that protects the crown city of Insomnia. Paul plays Nyx Ulric, the Polearm Of The King, who’s trying to save off the “inexorable advance of Niflheim’s imperial army.” Headey stars as the captive princess Luna, whose marriage to King Regis’ son becomes part of a last-ditch effort to resolve the conflict. The film will not be released in theaters, but Sony Pictures Home Entertainment will make it available for streaming and download worldwide.